Align manufacturing process with market demand and ensure profits. Success of manufacturing companies is defined by aligning production and supply chain with customer’s demand. Customers are more aware and buy product after considerable research. The amount of research varies as per the industry. Another aspect, is the change in customer’s preference that is defined by factors such as geography, price, ethnicity, age and sentiment. Companies have ocean of data that has been captured at multiple touch points. This data can help in identifying product demand and customer’s behavior. Managers can use this data to uncover opportunities that leads to informed production and marketing decisions. Companies are seldom able to exploit the power of information in their data and rely more on usual methods of demand prediction. 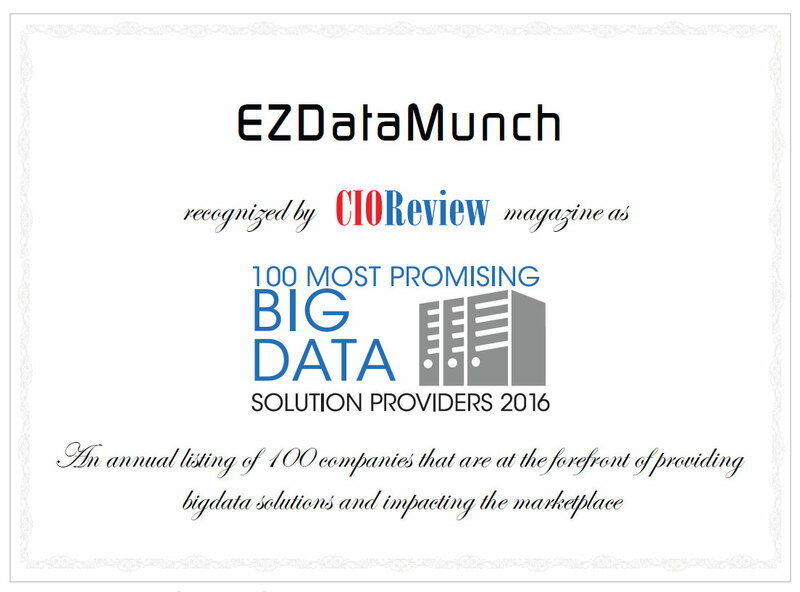 EzDataMunch’s pre-built demand and customer analytics solutions help companies to get clear, in-depth and real-time visibility in their customer’s data. This data can be easily transformed in simple graphical dashboard that can be used to predict demand, analyze customer’s behavior, align operations, reduce cost and increase profit. Demand and customer analytics dashboard represents data captured from multiple systems. Information such as top ten customers and the volume of business contributed by every customer can be viewed. Delve deeper into the type of product purchased by which customer segment and total revenue generated. Managers have the option to filter the reports based on location, item type, customer type, business vertical and more. 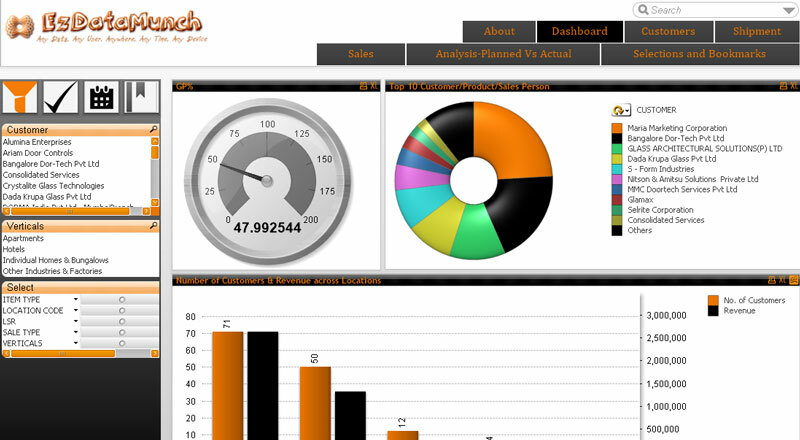 This dashboard gives a detailed representation of customer’s based on their vertical. Bar diagram represent the revenue generated by top five customer’s. This data is crucial in creating strategies to retain high value customers by providing them specialized services. Get complete detail of invoice from every individual customer and check other information like COGS (cost of goods sold), units sold, and sales price. This dashboard gives complete information about product shipment with respect to the location, item type, customer category and more. Managers can see the total revenue generated from every location and the percentage of gross profit contributed by every location. This data can help in planning further actions like demand prediction, analyze trend and track growth. 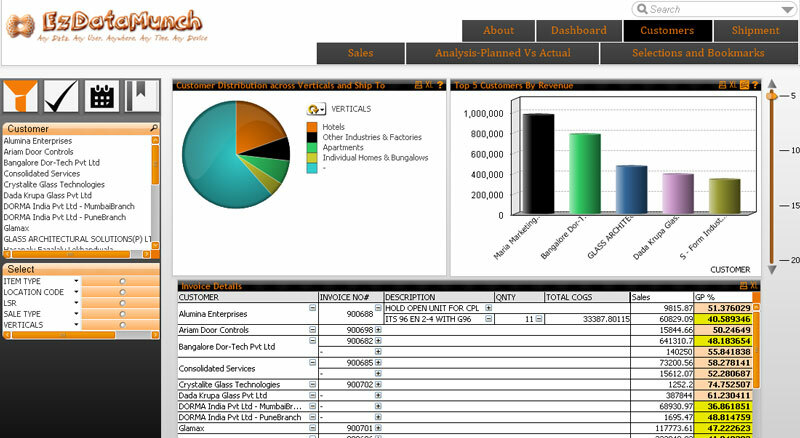 This dashboard gives a comprehensive view of total sales. 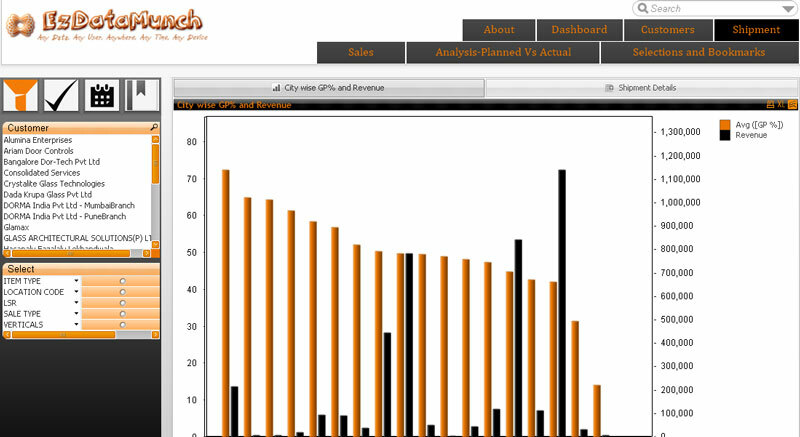 This report showcases sales representative’s performance and total revenue vs COGS (cost of goods sold). 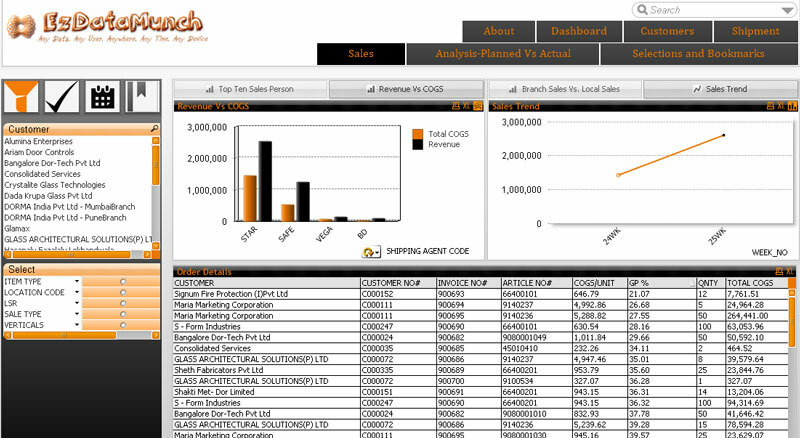 Executives can see sales information such as branch sales and compare it with local sales to analyze sales trends. Further drill down as per customer’s profile and view information like units sold, total COGS, gross profit contributed and more.